Low-income students deserve their fair share of education funds. Low-income students deserve their fair share of education funds. The Department of Education can help. If you’re an advocate for educational equity, a follower of political fights in education, or a community resident who wonders how schools are funded and why it is that some schools appear to have so much more money to spend than others, you may or may not have come across the “supplement, not supplant” debate currently underway in Washington, D.C. This wonky fight over regulations, federal authority, and the new Every Student Succeeds Act (ESSA) has become the latest battleground in a long fight about whether or not funding in education should be spent equitably. Unlike previous disputes that focused on funding inequities between districts (cities vs. surrounding suburbs, for example), this one is entirely about the way funding is allocated to schools within districts (the north side vs. the south side, for example) and what the U.S. Department of Education is proposing to do about it. In many school districts, more money is spent in wealthier schools than in poorer schools. This happens even though all schools are funded from the same property tax base and even though everyone agrees that teaching all students to the same level costs more, not less, in areas of poverty. Most of the difference in spending between school districts is because of our nation’s reliance on property taxes to fund school districts and state funding formulas that reinforce the inequities caused by differences in community wealth. The problem within school districts is different and is largely about patterns of teacher employment and parent political power. ESSA, signed into law in December 2015, made many changes to requirements for what states, districts, and schools needed to do in order to receive federal education funding. One change that speaks directly to the issue of how school districts allocate their own state and local funds was to the law’s “supplement, not supplant” requirement. This requirement has been in the law for decades and says that the federal dollars that go to high-poverty schools may only be spent in a way that provides extra funding for that school. School districts may not use these federal funds to replace the funds they spend to educate students in their district. Congress kept that requirement, but required the Department of Education to change how it measures compliance. 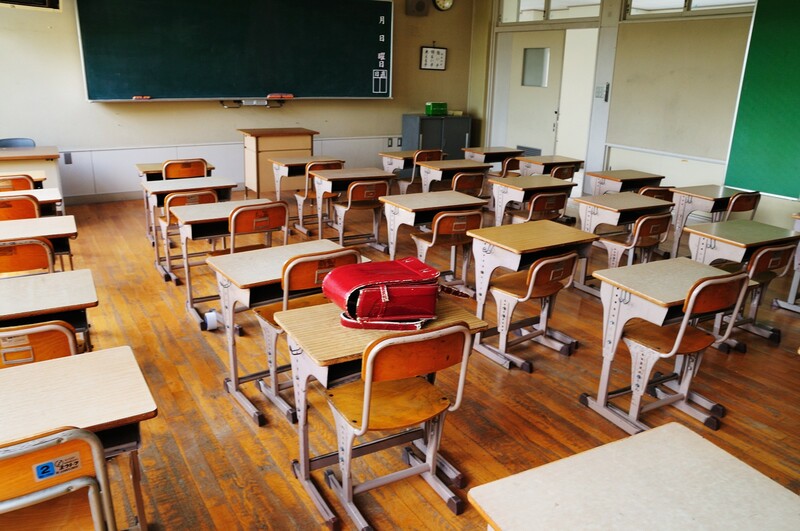 The new way the Department of Education is proposing to require school districts to demonstrate they’re using federal funds correctly is specifically aimed at addressing the problem of funding equity between schools that are in the same school district. In its draft rule, the department says districts must show that they’re funding all schools in their district fairly. If every high-poverty school is getting a similar amount of state and local funding to all other schools in the district, then that means that the federal dollars are extra — they are supplemental. The civil rights community has strongly supported the department’s efforts, but others are much less supportive. On its face, this seems like a pretty straightforward proposal. However, congressional Republicans and organizations representing state and district superintendents have pushed back against the department and are opposing the requirement that state and local funds be made equitable. Most of this opposition is rooted in support for the ways that districts have historically managed their funds, an unwillingness to change that system, and resistance to federal involvement in local decision-making. But to truly understand opposition to the proposal and the root causes of funding disparities between schools, it is important to understand the role of teacher salaries in district budgeting, patterns of employment for teachers among schools, and the connection between teacher experience and salary. Most conversations about school funding quickly become conversations about teacher salaries because salaries make up approximately 80 percent of all education spending. School districts typically have salary schedules that provide for increasing salaries as teachers gain more experience in their district. This rightfully recognizes the value of teachers accruing experience (and sharing that experience with their students) and means that salaries for veteran teachers are usually much higher than for teachers in their first or second year in the classroom. Unfortunately, those differences in salary translate to differences in school spending because poorer schools are more likely to have novice teachers than their wealthier counterparts. Unless district leaders have focused attention on making poorer schools more desirable places to teach (for example by providing hard-to-staff-school bonuses, placing supportive school leaders there, offering additional support to teachers and students, or lowering the class size in those schools) teachers frequently leave these schools for schools whose students have fewer needs. The result is a concentration of new (lower-paid) teachers in poorer schools and a concentration of veteran (higher-paid) teachers in wealthier schools, and thus, more money spent on wealthier schools than on poorer schools. Some critics of the department’s proposal argue that it will result in the “forced transferring” of veteran teachers into Title I schools. Forcing a teacher to teach in a school where they don’t want to work doesn’t serve the teacher, the students, or the school. It is bad policy and the wrong solution. Instead, districts should be provided new funding by states in order to attract more veteran teachers to Title I schools, provide additional services to students and teachers in those schools, extend the day or year, or lower class sizes. Even without additional funding, there are changes that can be made in districts that don’t require moving teachers around like widgets. Using existing funding, district leaders can reallocate other resources, such as central office funding, or increase enrollment at low-poverty small schools. The department’s proposal, which looks only at total spending and not the individual spending decisions districts make, allows for considerable local flexibility to develop the right solution to provide an equitable education to all children in each school district. This particular proposal can’t solve every problem. That doesn’t mean we should avoid addressing this one. It has also been pointed out by opponents of the department’s proposal that the plan does not address inequities in funding between school districts nor does it address the problem of inadequate funding across an entire district. Unfortunately, the “supplement, not supplant” requirement in the law does not provide the opportunity to address these two real problems. Additional advocacy, and new laws, will be needed to ensure that funding is equitable and adequate within and between school districts. The inability to solve all problems should not be a reason to avoid addressing one problem. Recognizing that disparities in spending (both salary and non-salary) between schools means that the federal dollars going to serve poorer schools are being used to make up for funding that schools aren’t receiving from their district, the Department of Education has rightly linked enforcement of the “supplement, not supplant” requirement with the drive for greater equity in school funding. The current version of the department’s proposal can be found in the Federal Register as a “Notice of Proposed Rulemaking.” Until November 7, the public has the opportunity to submit a formal comment to the department expressing their views of the problem, the proposed solution, and the need to ensure equity in opportunity for all students. We support this effort and believe that the department’s proposal will help ensure low-income students receive the supports that will contribute to their learning and to which they are entitled from federal, state, and local sources. The civil and human rights community will be submitting comments asking the rule to be made stronger and we hope you will too.